Roger Schultz Obituary: Roger Schultz’s Obituary by the Manitowoc Herald Times Reporter. 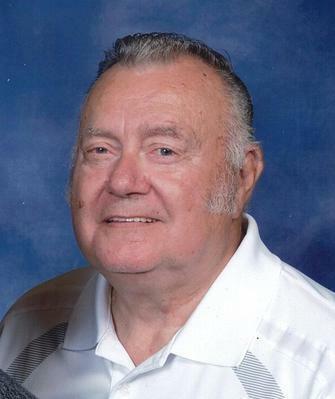 Reedsville - Roger Milton Schultz, Reedsville, age 72, went to be with his Lord on April 10. Roger was born on May 5, 1946, at Holy Family Hospital, Manitowoc to Gilford and Hildegard (Bratz) Schultz. On July 30, 1967 Roger was united in marriage to Erdine Lau at Trinity Lutheran Church in Brillion. Roger retired from Wisconsin Aluminum Foundry in Manitowoc after 44 years. He was an avid dartball player for 50 years and a proud member of the 2012 Wisconsin Dartball Hall of Fame Inductees. On Saturday, the day he became ill, he went 4 for 4 at the state dartball tournament. Roger was a member of Wander Springs Golf Course where he enjoyed golfing with his friends and especially his grandchildren. Beautifying his yard with flowers was a favorite pastime; as was watching his grandchildren, whom he loved dearly, participate in their sporting events. He could often be seen in the same front row seat cheering them on. Bus trips to the casino, playing cards, handing out candy, midnight malts (shh… grandma didn't know about these), attending dirt track races (particularly at Plymouth), ice fishing, feeding the birds and giving a tour of his yard were some of favorite hobbies. He is survived by his loving wife of 51 years, Erdie; four children: Rick (Kari) Schultz; of Valders, Susan (Jay) Olson of Reedsville, Lynn (Mark) Fischer of Brillion, and Curt (Brenda) Schultz of Brillion; 11 grandchildren: Misty Schultz, Amber (Billy) Meidl, Abigail Schultz, Emerysn and Bennett Olson, Andrew, Jack and Ethan Fischer, David and Taylor Brochtrup and Isaac Schultz; one great grandchild: Hunter Glasow and Baby Meidl due in July. He is further survived by one sister, Bonnie (Ralph) Zutz of Brillion and one brother, Steve (Judy) Schultz of Phoenix, AZ. Brothers-and sisters-in-laws Alex and Elaine Lau, Wayne Koffarnus, and Carolyne Lau. We will miss him dearly. He was kind, one of a kind!